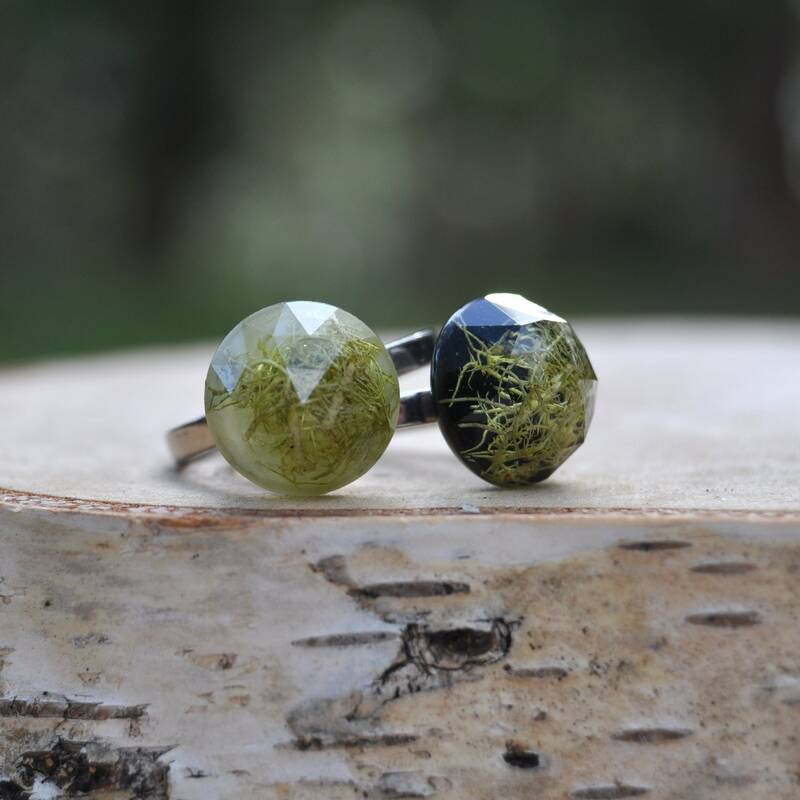 These beautiful rings are truly unique, and are made from real green lichen set in clear eco resin as a faceted, rose cut cabochon. 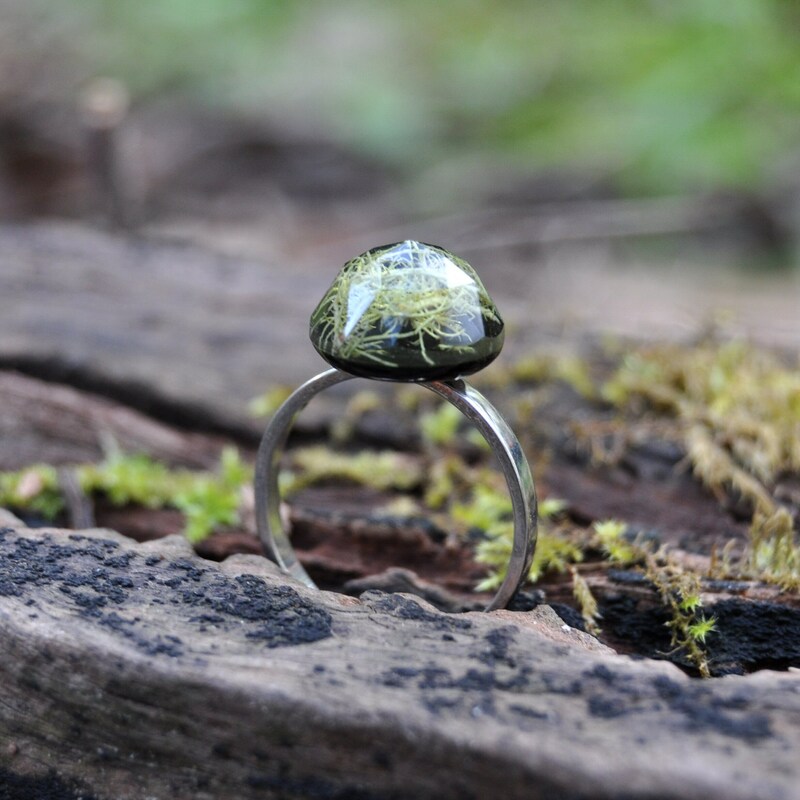 Rose cuts are one of my favourite types of gemstone cut, being a combination of unique, delicate and feminine style, without being overly flashy. In two words, understated elegance! 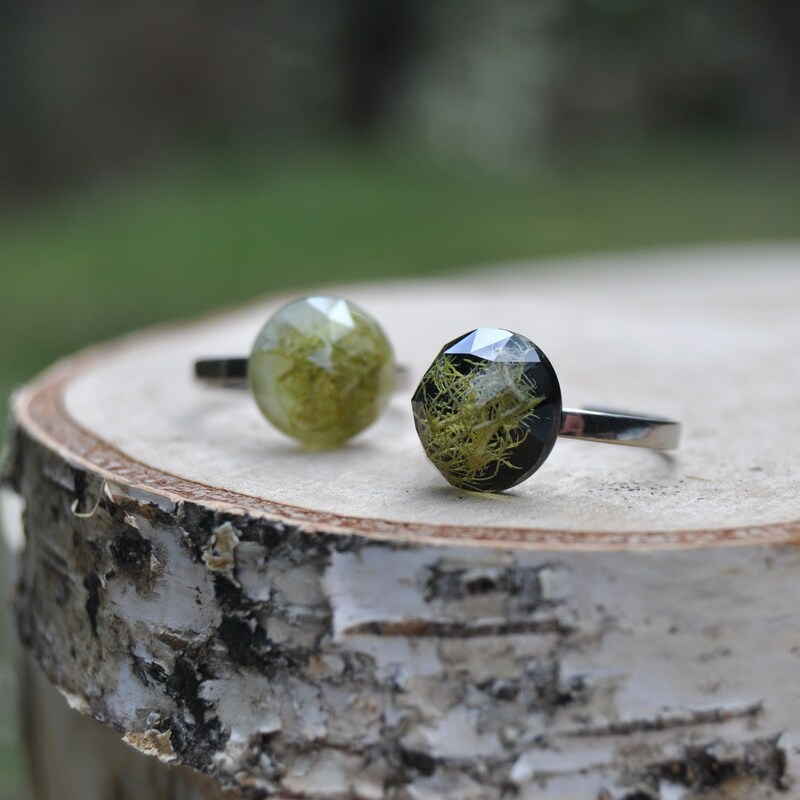 These rings are available with either a black or white base colour. Please choose your preferred style form the menu. 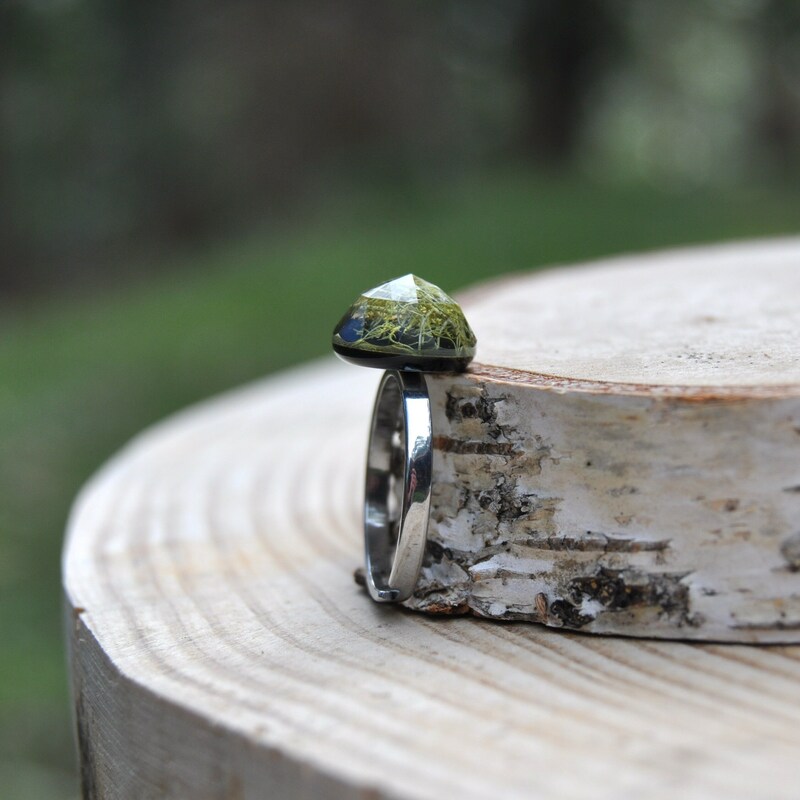 For added durability, the ring base has been set into the back of the resin focal piece, making it very stable and also hiding the base from view. 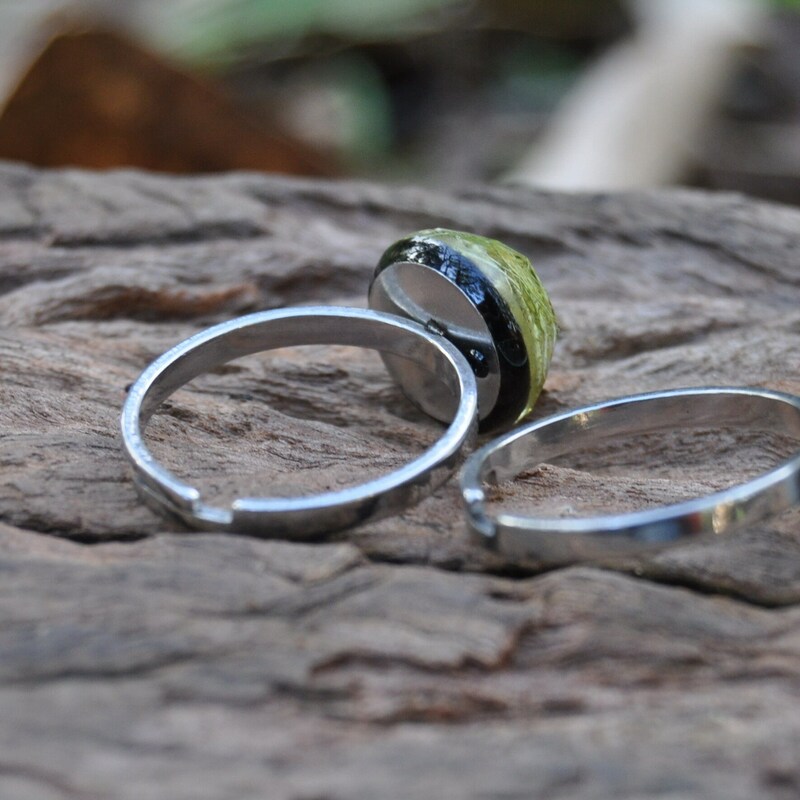 The ring band itself is adjustable and made from strong and non-tarnishing stainless steel. 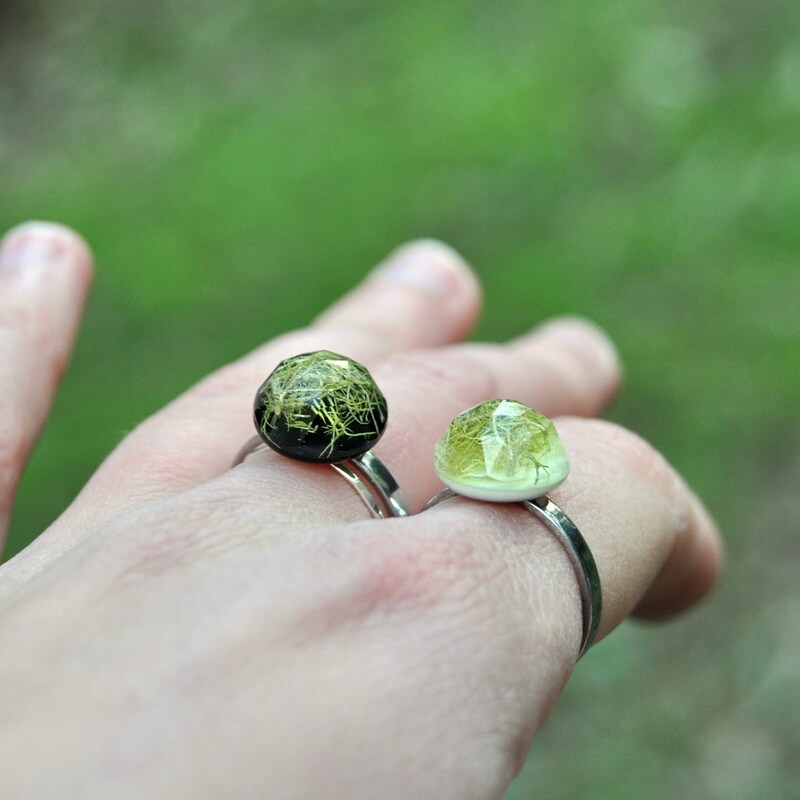 Like most adjustable rings it may be a little loose on very small fingers (US sizes 5 and smaller). 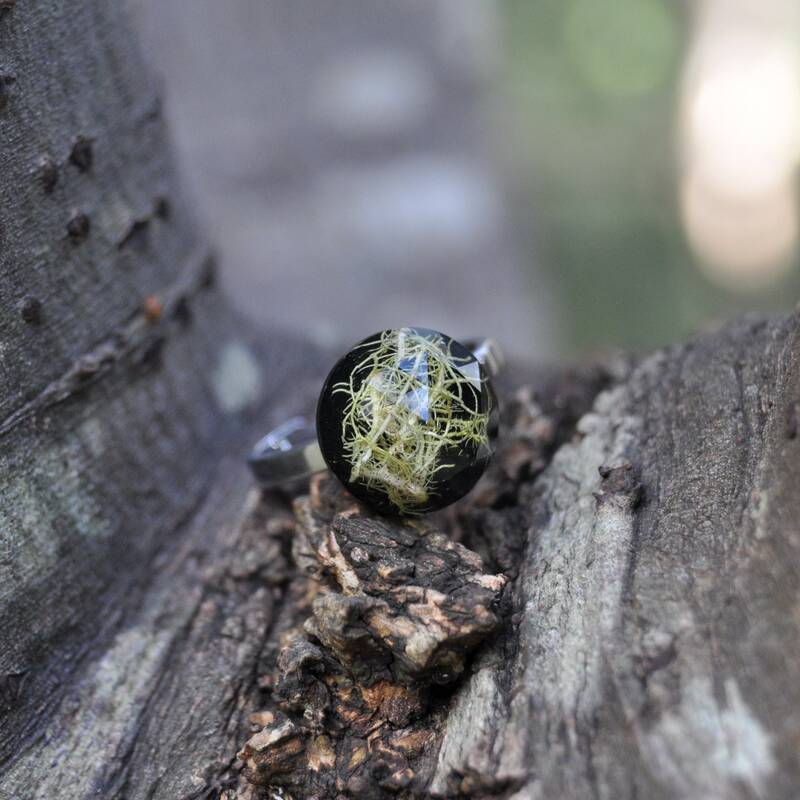 I use eco resin for most of my work, including this piece. 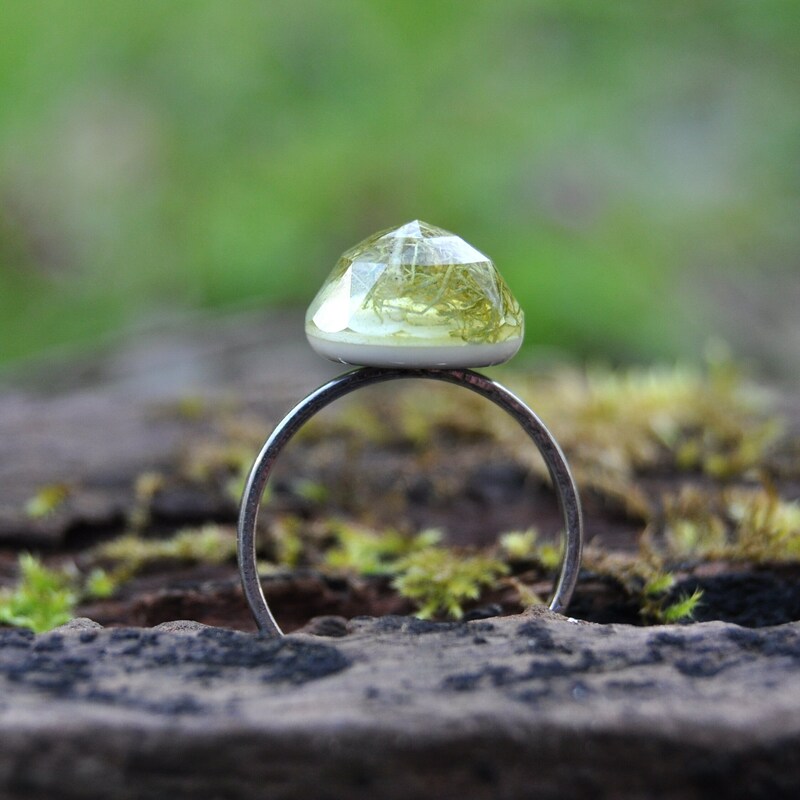 This resin is both eco-friendly, UV resistant (highly resistant to yellowing with time), and very tough, making it an excellent medium for jewellery.